Happy Friday everyone!!! I have a treat for you all today-- Delia (yes, the Delia) from Delia Creates here (yes, here!!!!) at MIH today! We are doing a kind of informal/impromptu ornament swap. 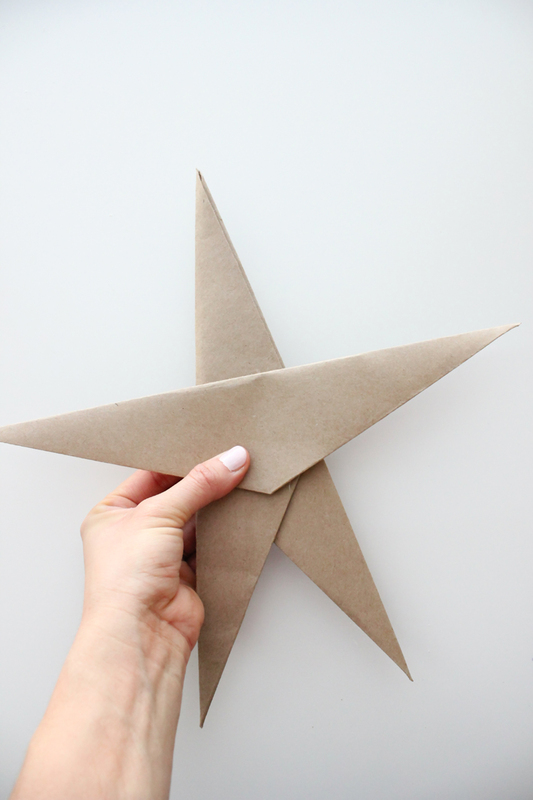 She's created these absolutely gorgeous paper stars that require just a teeny tiny bit of hot glue. 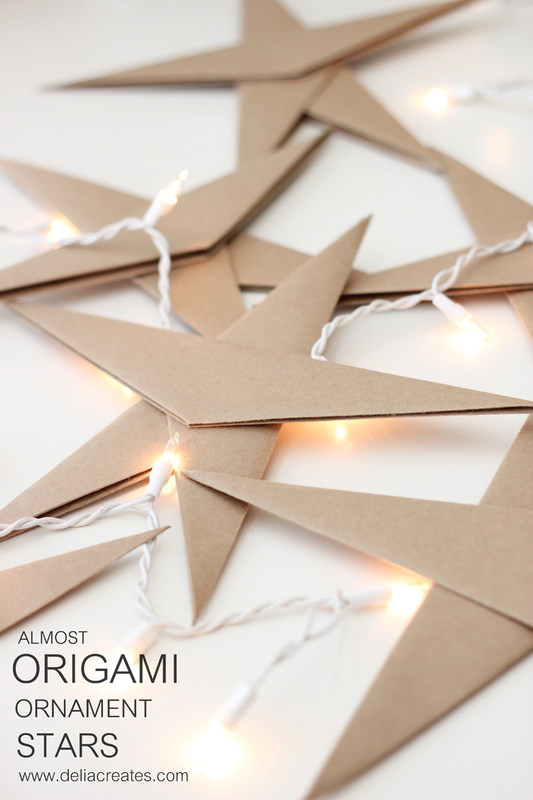 She makes it looks so easy that I'm going to get out the glue gun and give it a try this weekend. 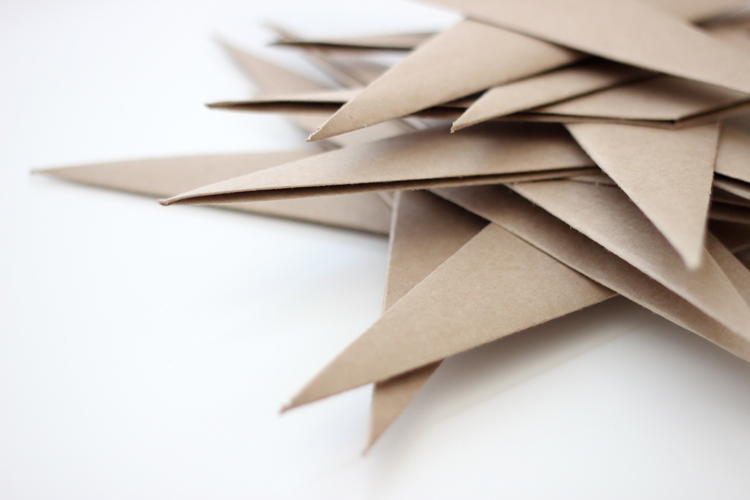 *I used a coupon on this 50 pack of kraft cardstock from the Hobby Lobby, which made this project really inexpensive. 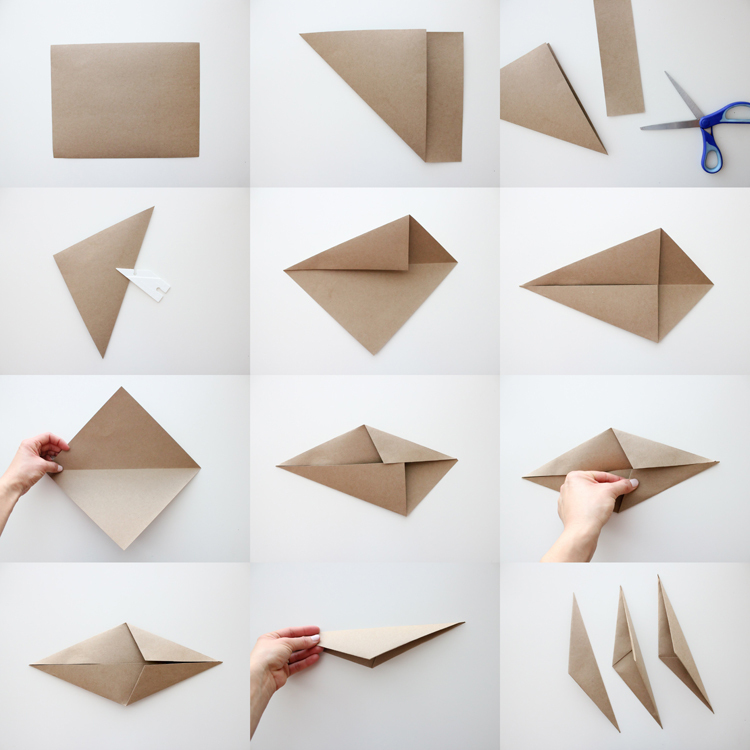 And here is a visual for how to fold your card stock. 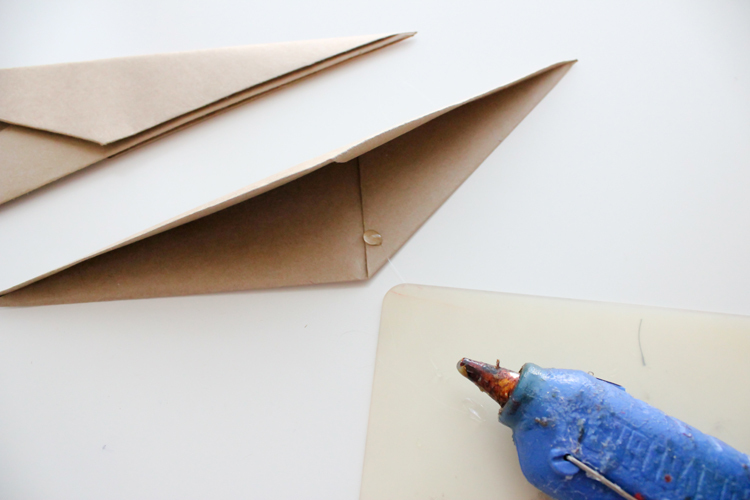 Use a ruler, or a bone tool (I used my point turner ;)) to make the edges fold nice and crisp. 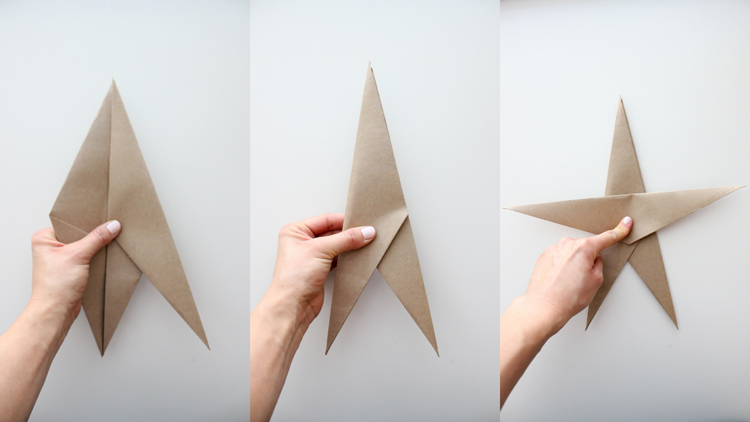 Repeat the process three times so that you end up with three star pieces. Take one of the pieces and open it up. Slide another piece inside of it. Last, take the third piece and place it on top. Hot gluing it all together as you go of course. 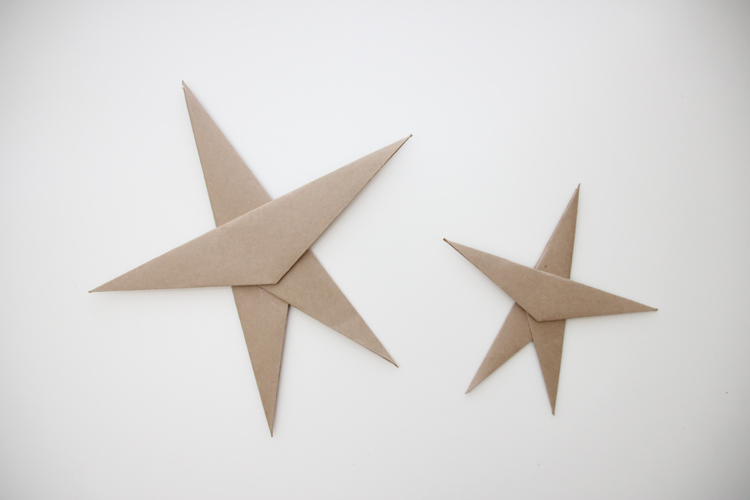 To make smaller stars, cut your cardstock in half first and treat each half paper like you did a full sheet. 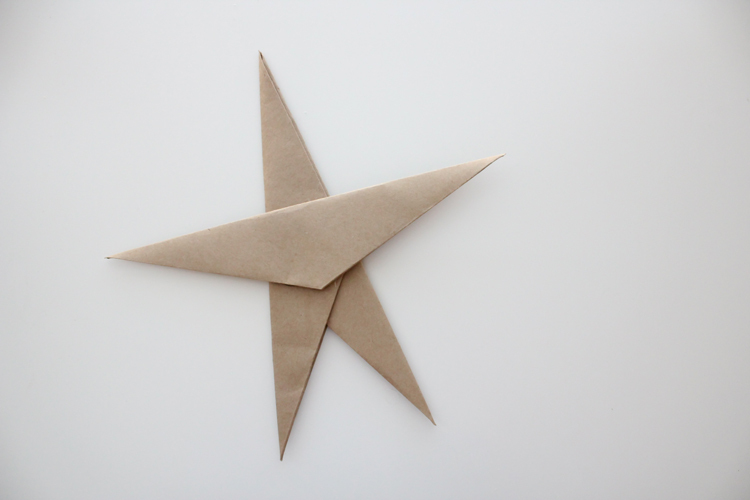 Three full sheets makes 2 small stars. 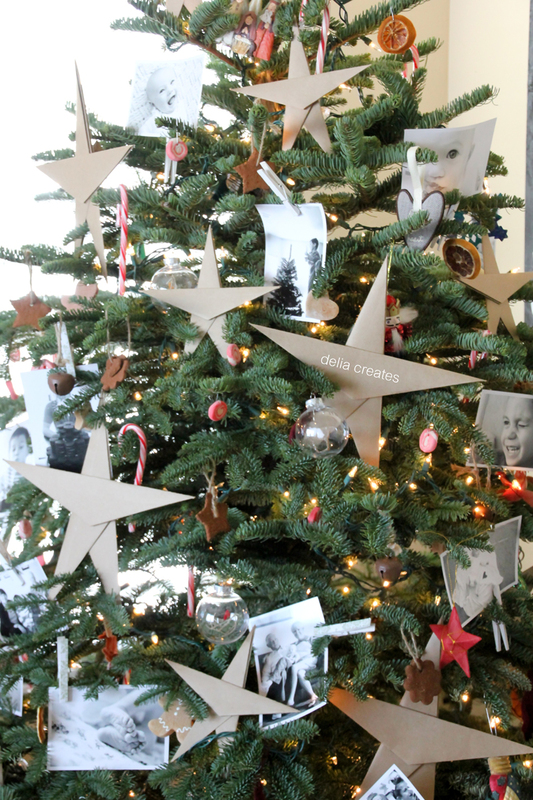 The stars are big enough, sturdy enough, and yet light enough for you to simply nestle them into the branches. 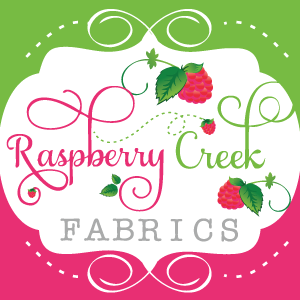 They are perfectly versatile to whatever you need! Thanks for letting me hang over here Palak! No... thank you, Delia! 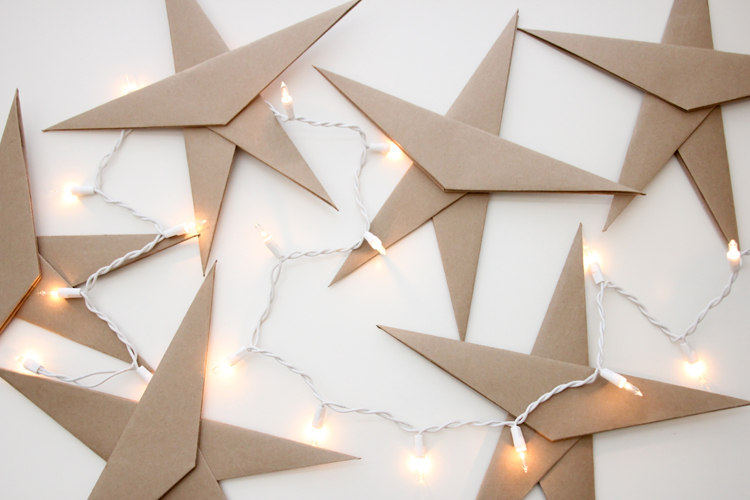 I love that these stars are so simple and classy! Looking for more awesomeness from Delia? 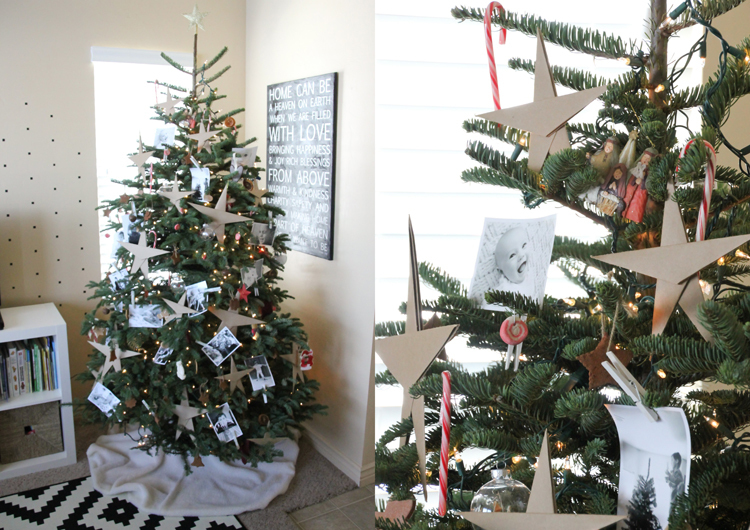 I love her Christmas PJ post, this genius Advent idea, and of course, her no sew tree skirt. And what of my ornament? 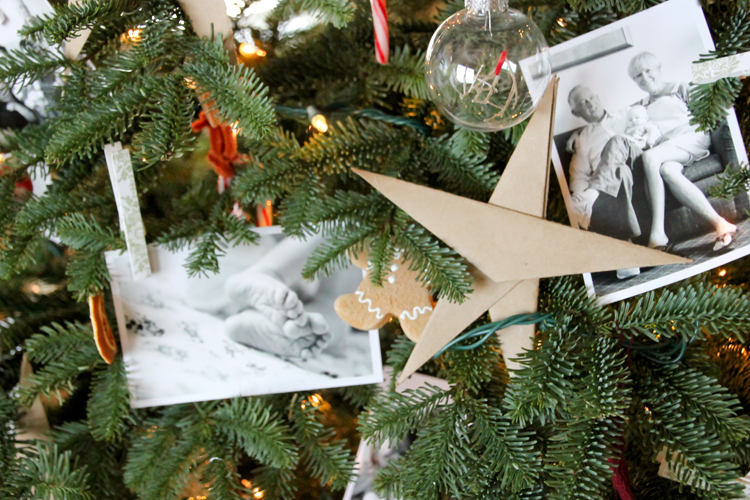 You can head on over to Delia's to see this Classic Felt ornament how to!